Versatile movie personality and musician, Kwadwo Nkansah, known in the entertainment fraternity as Lil Win is set to release his third gospel track titled, 'Ayeyi'. The hot praise hit from the camp of Wezzy Empire Record label and produced by 925 Musik will "take over the airwaves", Lil Win revealed to SeancityGh. 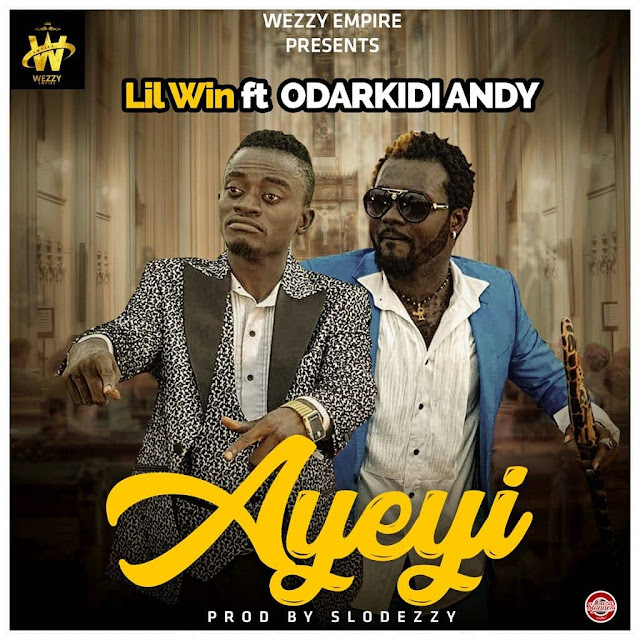 Lil Win features Odarkidi Andy of Mentor fame on the new 'Ayeyi' hit which will be released on Wednesday 18th July. 'Ayeyi' adds up to Fa Wo Ladder, Nyame Gye Me, all from Lil Win which have been among the greatest gospel hits of all time.